The new year is a great time to consider the role your finance organization is playing in creating a successful enterprise. 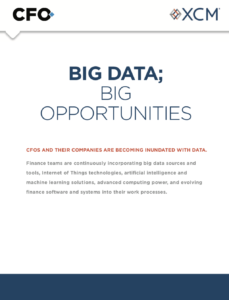 But in a world in which CFOs are increasingly expected to accomplish more with fewer resources, it’s important to track how much it costs to run your finance function. This month’s metric, based on data from APQC’s benchmarking database, considers the total cost of the finance function as a percentage of revenue. Total cost includes personnel, systems, overhead, and any other costs necessary for day-to-day operation of the finance organization. In terms of the metric, the organizations considered “top performers” are those that spend at or below the 25th percentile in this performance range. At the 75th percentile are the “bottom performers” that spend more than two-and-a-half times more than the top performers to keep their finance organizations running. Of the 1,515 organizations that reported the cost to perform this process, the top performers spend 0.7% or less of revenue to perform the finance function. 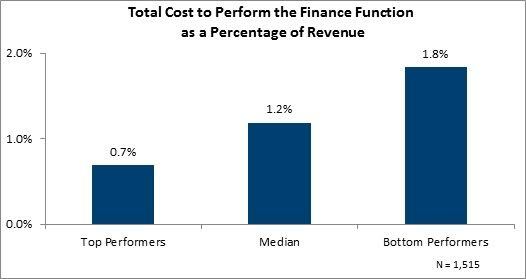 The bottom performers spend at least 1.8% of revenue to perform the same essential function. At the median are the companies that spend 1.2% of their revenue to maintain finance operations. While this is a simple, single-point cost metric, it’s a useful place to start in evaluating where your own organization falls on the spectrum of how much your finance function is costing your organization. CFOs should decide how to balance their focus on the cost of the function versus the strategic value they are trying to add. They need to look for opportunities to improve transactional efficiency and reinvest those savings into activities promoting strategic growth. In an ideal world, your company’s revenues would grow faster than the cost of your finance function. As organizations grow larger, the relative cost of finance as a percentage of revenue should decline. In fact, APQC’s data shows that for this measure, size matters. Top-performing companies with more than $1 billion in revenue spend only 0.4% of revenue on finance, while top-performing smaller organizations with less than $1 billion in revenue spend 0.9%. To gauge how your company compares to the 1,500-plus organizations reporting benchmarking data on this metric, the calculations are simple. Calculate your total cost to perform the finance function as a percentage of revenue in this way: total finance cost, divided by total business entity revenue, multiplied by 100 to state the result as a percentage. Compare your most recently completed year to your three previous years. In which direction is your ratio moving? Are finance costs growing or shrinking in line with overall revenues? Compare actual costs from 2017 to your projected annual costs and revenue for 2018. Are the numbers moving in a favorable direction? Compare your history and current projection to the data above to see which quartile your organization falls into. Using these data as a starting point, evaluate the role finance plays in organizational competitiveness. Is your organization getting its money’s worth out of its finance function? If there’s room for improvement, work on getting team members familiar with these baselines and then look for ways to improve. There is a constant drive to provide today’s services at a better price. But it is equally valid to ask if resources being used could be more effectively deployed. For instance, you can streamline procedures and likely save by employing a few people in purchasing. Should you reduce purchasing costs by removing those people? 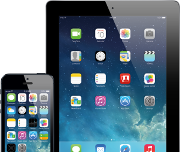 Or could you redeploy them to better evaluate suppliers and the items being purchased? Such an evaluation could include the overall number of suppliers or vendors, the number of vendors for each item, and volumes. In that way, CFOs could look to find how to obtain better purchasing discounts, reduce inventory obsolescence and stock-carrying costs, and generate savings that are a multiple of the loaded salary costs of a few people in purchasing. Many companies improve their competitive position by more actively using their finance teams. For example, some develop proactive roles to support sales efforts by using credit terms to attract customers. Others embed portions of their financial planning and analysis teams into field offices, providing rapid direct support in evaluating and pricing new customer opportunities. And some simplify expense reporting by having employees use cell phones to capture receipts and create electronic records at the source. As the range of survey responses indicates, there are many opportunities to improve. It’s useful to prioritize these opportunities using these three criteria: strategic value to the organization, ease of implementation, and size of opportunity. Then, make a New Year’s resolution to focus on a handful of improvement priorities in 2018 that are both feasible and will have the biggest impact on the efficiency and cost of your finance organization. Marisa Brown is the senior principal research lead for supply chain management and financial management at APQC, a non-profit benchmarking organization based in Houston. I’m a big fan of your CFO and Finance content. I noticed a marketing theme with many articles on CFO site of including main article image as a close up of a random person’s face. this approach makes it unattractive to share link on social media such as linkedin since the article graphic, being a person’s face, doesn’t tell the story of the article + makes it an unfriendly format for social media sharing.